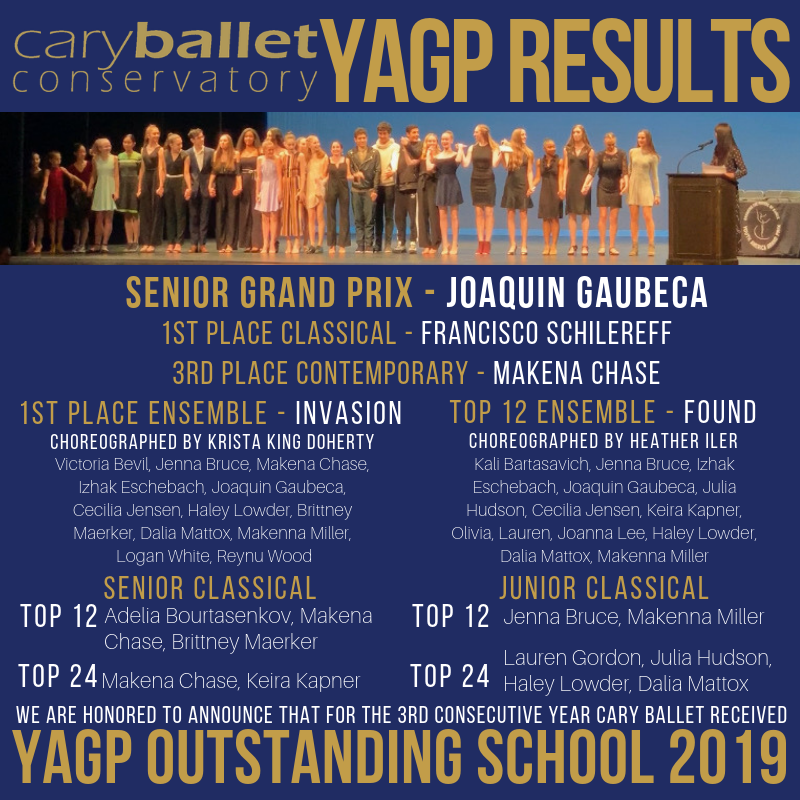 We are so proud that Cary Ballet was named YAGP Outstanding School for the 3rd consecutive year! Congratulations to all of our dancers on their hard work. We are so proud to have you represent Cary Ballet. Thank you to our dedicated faculty & staff lead by PTP Director Mariaelena Ruiz & Ballet Director Heather Iler for your commitment in bringing out the best in our students. ​Francisco Schilereff on 1st Place Classical at YAGP Denver!